The Environmental Justice Team at Lone Star Legal Aid welcomes you to Environmental Justice News. We’re keeping communities updated on our team’s ongoing environmental law efforts throughout our 72-county service area in Texas. call 713-652-0077 ext. 8108 for more information on how we might be able to help your neighborhood! 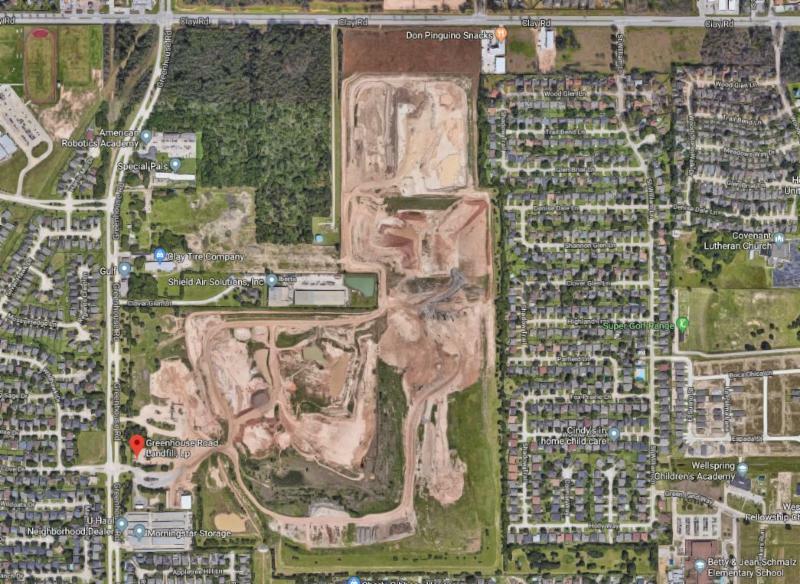 When Harris County resident Guillermo Lopez first moved to the Rolling Green subdivision near Katy in 1998, he was aware of a nearby landfill, Greenhouse Road Landfill. But Lopez understood that the dump site, which was regulated to accept non-toxic construction waste and debris only, was temporary, set to close its doors within a decade or so. He was under the impression that the land would eventually be turned into a park, with hike and bike trails where his children could even ride their bikes. In November 2016, Lopez was shocked to learn about the landfill’s plans to expand its operations and scope. A major amendment to its Municipal Solid Waste Permit (MSW) through the Texas Commission for Environmental Quality (TCEQ) , the amendment proposes to extend Greenhouse Road Landfill’s lifetime to 2053, while the facility’s horizontal footprint would increase by 31 acres, and its height would increase to 183 feet - as high as a six-story tower of garbage. A local advocacy group called STOP GREENHOUSE ROAD LANDFILL alerted Lopez and his neighbors to the landfill’s plans, connecting them with LSLA’s EJ Team. Represented by EJ Attorney Bryan French, Lopez and nearby Barker Ridge community member, Linnette Figuoera, filed public comments on January 8 th with TCEQ on the permit amendment. Requesting a public meeting and a contested case hearing, the residents’ comments describe Greenhouse Road Landfill’s failure to fulfill its obligations under a 2000 Settlement Agreement with Harris County and Rolling Green subdivision. Part of the landfill’s current permit with TCEQ, the Settlement Agreement limits the landfill’s size and outlines stipulations the owners must comply with in order to reduce the landfill’s impact on neighboring communities. The residents’ comments also referenced GRL’s poor compliance record with the state agency, including its failure to prevent dust, odors, windblown debris, noise, vermin and contaminated storm water runoff from encroaching onto residential properties. 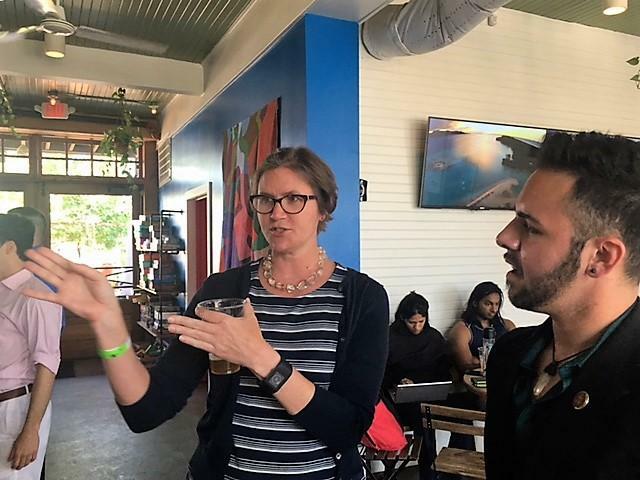 Assisting LSLA attorneys with the case, Thurgood Marshall School of Law Extern Reese Selman worked to investigate the residents’ concerns in May 2018, interviewing Lopez and Figuoera along with LSLA’s French. 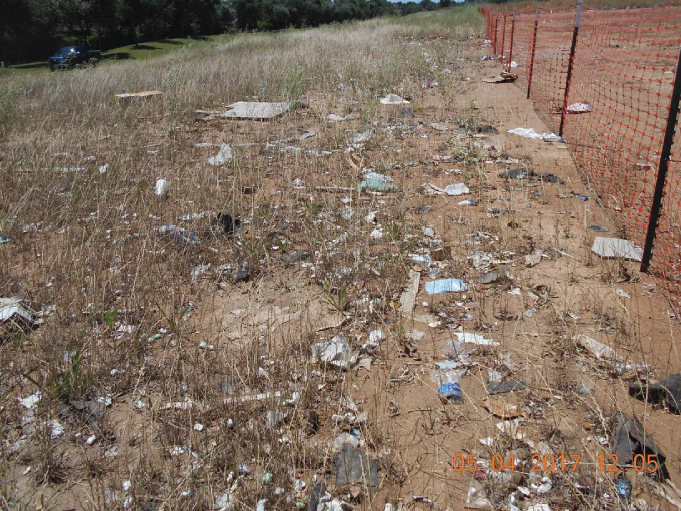 Researching Texas statutes on landfill regulations for Type IV Landfills, Selman contributed his findings to the residents’ official comments to TCEQ filed in January 2019. Due to population growth, landfills in Texas have been increasing in size in recent years, while available space to house the landfills has been shrinking. Texas recognizes two types of landfills, neither of which can legally accept toxic waste: Type I landfills, which dispose of wet or household waste; and Type IV landfills, such as Greenhouse Road Landfill, which accept dry waste such as demolition, construction, and yard waste. Prohibited from Type IV landfills, household garbage and food generates significantly more methane and hydrogen sulfide through decomposition than dry waste. According to the Houston-Galveston Area Council (H-GAC) , three Type I landfills and eleven Type IV landfills are scattered throughout Harris county. Where those landfills have historically been sited, however, becomes an environmental justice concern involving race. 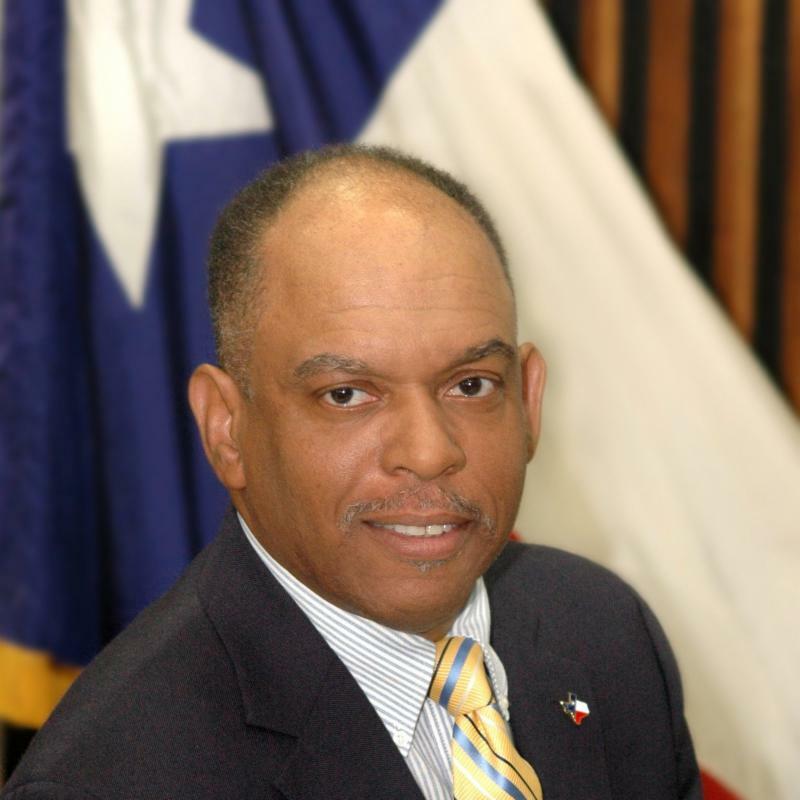 In his article The Mountains of Houston , environmental justice advocate and educator Dr. Robert Bullard points out that by the late 1970’s, 100% of Houston’s landfills and 75% of the city’s incinerators had been sited in predominantly Black neighborhoods, while Blacks made up just 25% of Houston’s population. Black communities in Houston continue to live with the legacy of those landfills, some of which accepted unregulated waste for decades before closing down. While the public comment period for Greenhouse Road Landfill permit modification has officially ended, intense public interest generated by the amendment could spur TCEQ to hold an additional public meeting, allowing more residents to participate in the permitting process. Along with support from state and county legislators and officials, the Harris County District Attorney’s office, and other stakeholders including Katy ISD, hundreds of community members signed a petition and submitted comments to TCEQ voicing their opposition the amendment. LSLA clients and community members are awaiting TCEQ’s response to their comments, expected sometime in the spring of 2019. In January 2019, Channelview resident Carolyn Stone sued Harley Marine Gulf, LLC and its parent company, Harley Marine Services, for building its corporate headquarters across the street from her home in a residential-only deed restricted neighborhood. Mrs. Stone filed her suit in the 55 th District Court of Harris County, Texas alleging that Harley has not only violated the restrictive covenants that have governed the neighborhood since 1945, but has also created a nuisance condition for residents by conducting its commercial operations in the neighborhood, including parking multiple barges loaded with tons of petroleum products across the street from Stone's home. 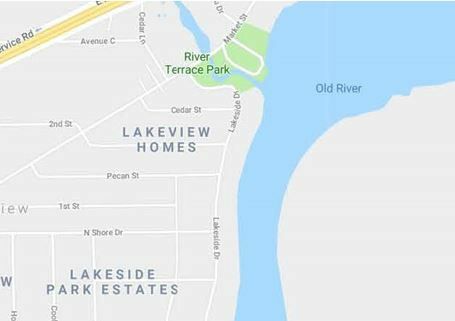 In direct violation of the Lakeview Homes Addition deed restrictions, Harley Marine Gulf’s commercial operations are sited in an area where all lots, plots or parcels of land in the subdivision are restricted for private residence purposes unless the lot has been specifically excluded. Purchased by a Harley-related entity with knowledge of these restrictions, the lots were later leased to Harley Marine Gulf for the purposes of building its new corporate headquarters. Upon learning of Harley Marine Gulf’s plans to construct its headquarters across the street from their home, the Stones and their next door neighbors wrote a letter to the company asking them to cease and desist from its plans to install its commercial facility. The company ignored the letter and proceeded with its construction, with full knowledge that they were violating the restrictions. Stone reached out to multiple local and state agencies looking for assistance, to no avail. Harris County and the City of Houston were added as defendants in the suit, given their ability under the Local Government Code to enforce land use restrictions. The Stones firmly believe that they should not have to live near a commercial facility built in violation of deed restrictions put in place to protect the value of their residential property long ago. "Barges are now lined up several deep and side by side all the way down the river, with the corporate headquarters right across the street, less than a football field away from our property line," shared Stone, "They can say they are the safest in the world, but accidents can and do happen. We are now living across the street literally from a bomb." When Carolyn and Bobby Stone purchased their home on Lakeside Drive in the Lakeview Homes Addition over 30 years ago, they were attracted to the neighborhood because of its scenic views of Old River. Unfortunately, the new commercial construction by Harley Marine Gulf has not only destroyed their view, but also added an element of risk management never present in the residential subdivision before. Posing substantial health and safety risks to the Channelview community, Harley- Marine's commercial operations include the transportation and storage of highly flammable and toxic petroleum products. Residents are understandably apprehensive of potential dangers, as accidental releases, improper access to petroleum storage tanks, barge accidents, or even an explosion could occur with disastrous results for the neighborhood. 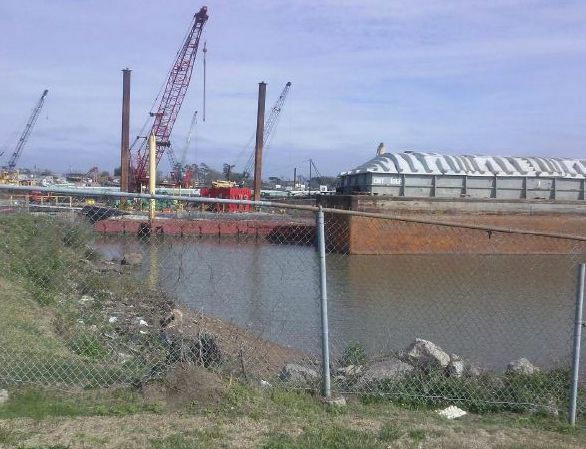 Recent accidents in the Greater Houston area involving barges like Harley-Marine's unfortunately confirm the residents' fears about potential dangers the commercial operation poses to their neighborhood. Representing Carolyn Stone in this dispute, Lone Star Legal Aid's Environmental Justice Team members Amy Dinn and Rodrigo Cantu understand the importance of this battle to property owners in standing up to the encroachment of commercial facilities in residential neighborhoods where deed restrictions have been put in place to protect the value of residents' homes. 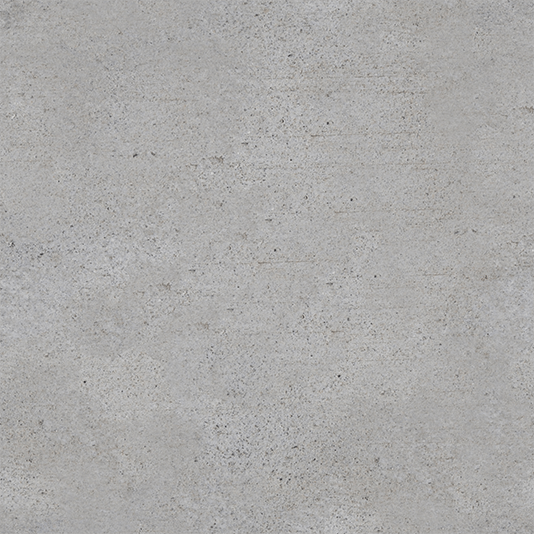 "We are not a wealthy neighborhood," shared Stone, "They thought nobody could fight this. When we finally found Amy and Lone Star Legal Aid, it was such a relief. I can’t express how happy we are to finally have representation." Throughout the Houston area, low-income and predominately minority neighborhoods are facing similar threats from the intrusion of industrial and commercial facilities in their neighborhoods, whether a lack of protective deed restrictions allows industry to move in, or communities lack the resources needed to defend restrictions, even when they are validly in place. 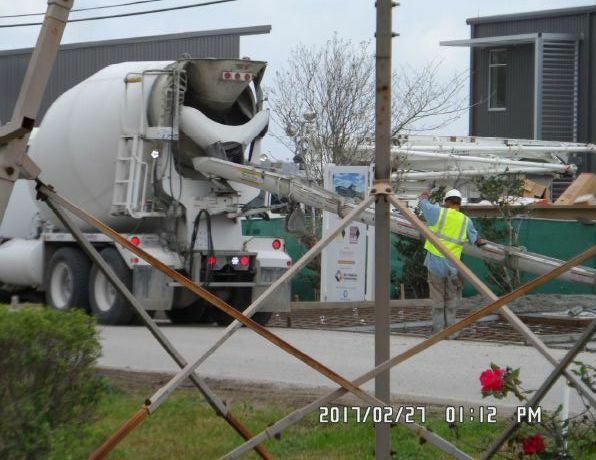 "Corporations need to be held accountable for their knowing, intentional violation of private property rights and the destruction of residential neighborhoods for corporate profit," commented LSLA's Dinn. Fighting for a community’s right to clean air, Port Arthur Community Action Network (PA-CAN) recently engaged in the public participation process on several air quality permits through Texas Commission on Environmental Quality (TCEQ), related to Motiva Enterprise’s expansion plans at its Port Arthur refinery. 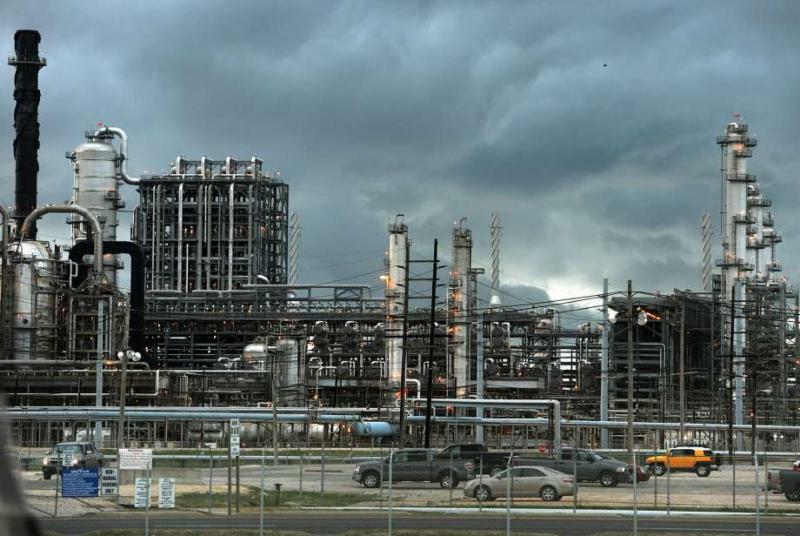 If approved, the permits would greatly increase the amount of air toxins emitted by Motiva Port Arthur, the largest petrochemical refinery complex in the United States. Looming over Port Arthur’s West Side as it processes over 600,000 barrels of oil per day, Motiva is planning to construct a new Olefins plant at the site to produce plastics. The company has also proposed to expand its petroleum storage capacity through a Terminal Expansion, and recently submitted an additional application to TCEQ that would change its refinery permit structure to a Flex Permit/PAL plan– a plan that would allow Motiva to avoid New Source Review on future refinery expansions. LSLA EJ Attorney Colin Cox has been working with PA-CAN to reduce the impacts these proposed expansion plans would have on the West Side community. Proposing to build a $4.7 billion Ethane Cracker at Motiva’s refinery site that would make ethylene for producing plastics and other petrochemicals, the olefins facility would emit thousands of additional tons of toxic air pollutants into the West Side residential neighborhood each year, where community members live, work, worship, attend school, and play. Living less than a mile from Motiva’s refinery, residents of Port Arthur’s West Side have to deal with compromised air quality daily, as cumulative emissions from dozens of industrial facilities including Valero, Chevron, Oxbow, Total and Huntsman fill the air with hazardous and carcinogenic pollutants. Aside from the daily planned emissions at these facilities, frequent illegal emissions often overwhelm the West Side neighborhood with toxic air pollutants. PA-CAN first submitted public comments and a request for contested case hearing on Motiva’s olefins permit with TCEQ. Concerned about how the large increases in toxic air emissions from the olefins plant will affect his community, PA-CAN founder and President John Beard talked about the air quality in his neighborhood, which is so bad that it often burns his eyes and irritates his lungs and airways. Forced to stay inside because of the foul smelling air, Beard said he is often unable to enjoy his yard and porch. On hot days, he even resorts to turning off his air conditioning sometimes in order to prevent polluted air from entering his home. A coating of dust from industry’s heavy releases of particulate pollution can be found on Beard’s lawn, house, and car. 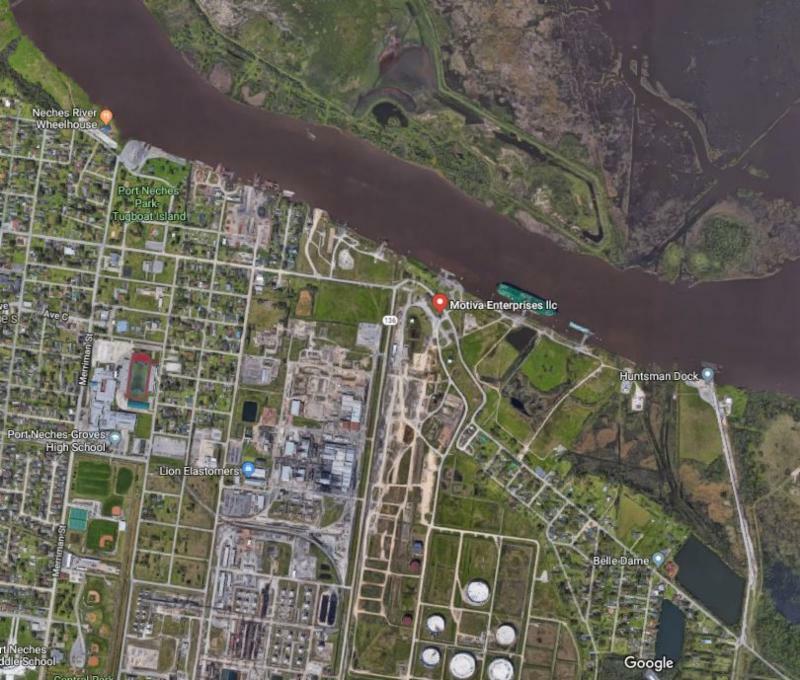 In a separate plan for expanding its terminal, Motiva recently proposed additional storage tanks to be built at the terminal, increasing the company’s capacity for exports from Port Arthur’s ship channel. Estimating an increase in harmful pollutants including “loading losses” while ships are being loaded with petroleum products as well as increased emissions from the new storage tanks, the terminal would be responsible for a huge increase in toxic air emissions. Along with other hazardous pollutants, Motiva estimates 73 tons of sulfur dioxide (SO2) will be released per year – a 7,300% increase in emissions of the hazardous pollutant, while 234 tons of VOCs will be released at the terminal per year - a 323% increase over the terminal’s current VOC emissions. Motiva also proposed to release an unspecified amount of benzene, a potent carcinogen, from two new benzene storage tanks. In addition to Motiva’s expansion plans, the company recently submitted an application to change the refinery’s permit structure known as the Flex Permit/Plantwide Applicability Limit (PAL) plan, a scheme available through TCEQ that allows companies to avoid New Source Review (NSR) regulations on future expansions, eliminating crucial public participation and other requirements from the TCEQ permitting process. PA-CAN has submitted public comments, a request for contested case hearing, and request for public hearing to TCEQ on Motiva’s Flex Permit/PAL application in collaboration with LSLA community partners Environmental Integrity Project (EIP) and Sierra Club. Expressing great concern about how the Flex Permit/PAL plan will affect the West Side community, the group’s comments noted that this plan will allow Motiva to avoid monitoring for individual pollutants, eliminating consideration of individual emission amounts with one plant-wide emission amount. The Flex Permit/PAL plan also allows companies to avoid modeling emission levels, making it impossible to know whether a facility’s pollution levels will exceed health-based screening levels set by TCEQ. “In the past few years, we’ve seen several big petrochemical facilities using the Flex Permit program to authorize enormous expansions that increase air pollution by thousands of tons per year, while bypassing the normal regulatory safeguards. We’re trying to prevent that increase from happening in Port Arthur, where residents are already exposed to dangerous levels of toxic air pollution,” commented LSLA’s Colin Cox. Public comments are still being accepted by TCEQ on Motiva’s Olefins permit application, Terminal Expansion plan, and permit amendment application for the Flex Permit/PAL plan. PA-CAN and LSLA’s EJ Team plan to monitor progress on all of these pending applications, following up with TCEQ as needed. In a recent conversation, president and founder of Port Arthur Community Action Network (PA-CAN), John Beard, ran down a list of some of the group’s many permit challenges, public comments, and administrative actions the group has taken with the help of LSLA’s EJ Team since Hurricane Harvey first devastated Port Arthur’s West Side nearly 18 months ago. The list was dizzying. “We just submitted Ike Dike comments (public comments on the Coastal Texas Study, submitted to the US Army Corps of Engineers),” shared Beard. “We also recently tracked TCEQ Enforcement Actions on two disasters affecting the West Side both before and after Harvey.” With help from EJ Managing Attorney Amy Dinn, the group challenged TCEQ’s lax penalties on a months-long fire and silo collapse at the Port Arthur German Pellets storage facility that caused multiple hospitalizations, deaths and property damage in the community. PA-CAN also tracked a Harvey-related spill by a local gas station. The group has been monitoring progress on additional stormwater discharges and spills as well, including a Harvey-related spill by Motiva that contaminated soil and led to post-spill management issues which are still being investigated by TCEQ, nearly a year-and-a-half later. Working with EJ Attorney Rodrigo Cantu, PA-CAN is following up on TCEQ’s investigation of the Motiva spill. “Our community is still suffering from Harvey,” shared Beard. Beard has personally experienced the deaths of four former classmates since Harvey, while several West Side seniors also passed away after not being able to return to their homes. “I believe the storm accelerated mortality in this community because of the stress it caused,” he shared. Fellow PA-CAN committee member Felicia Alexander-Branch agrees. She wants to see her community’s faces reflected more in the decision-making processes of industry, or even to be better informed about actions taken that affect Port Arthur’s West Side, a community where job prospects should be plentiful, given the abundance of industry in its midst. An active volunteer with Southeast Civilian Task Force who donates her time to helping area food banks, special needs organizations, and elderly community members, Alexander-Branch is certified as an OSHA safety specialist and OSHA master trainer as well as NCCER-certified as a foreman-plus, with the abilities to provide safety training, do electrical work and calibration, or work as a process operator. And yet, Alexander-Branch, whose own mother passed away of pancreatic cancer after Hurricane Harvey, has been out of work since, turned down multiple times for the very industry jobs she’s so highly qualified to hold. PA-CAN’s Advisory Board makes decisions on where to put the group’s focus next. Many new projects are on the horizon, including several permit challenges on Motiva’s massive expansion plans – plans that position the company to become the largest refinery complex in the world. 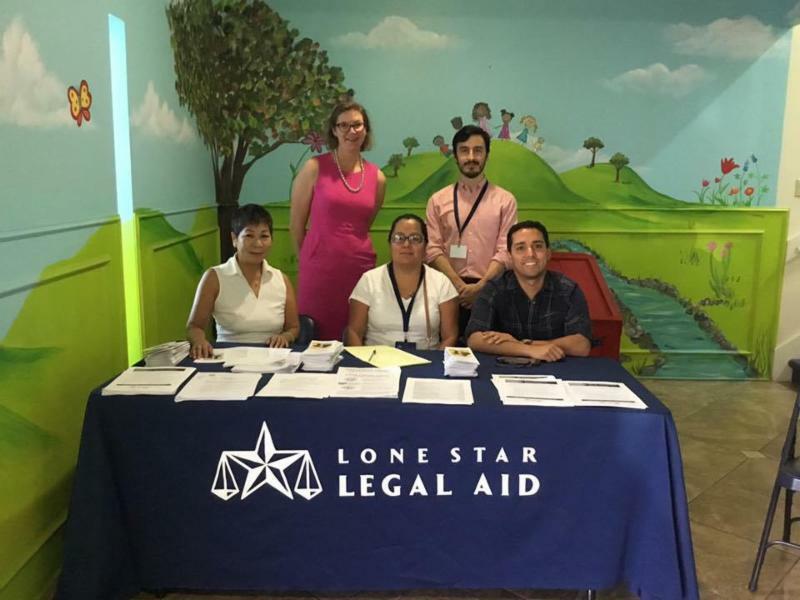 Throughout, PA-CAN remains fully committed to Port Arthur’s West Side, seeking to improve community members' lives through litigation, administrative, and education efforts with the help of LSLA’s EJ Team.